I guess you can call it a “you say tomato/potato” debate. Do you say dressing or stuffing? Most people I know say dressing, calling it stuffing only if it is “stuffed” inside the turkey-which mostly no one still does due to safety concerns. 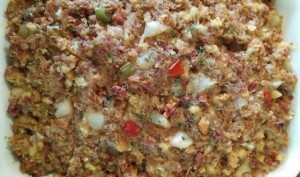 The first stuffing recipe ever was in a Roman cookbook. There is a famous boxed version (although I don’t recommend it-sodium level sky-high!!) made on “top of the stove” called stuffing not dressing. There is a National Stuffing day, November 21, but not a National Dressing Day. It is reported that more Northerners call it stuffing than dressing, with some calling it filling to confuse matters more! The history channel claims that “dressing” was created out of a traditional staple-cornbread. Since I was a child, I have always called it dressing. 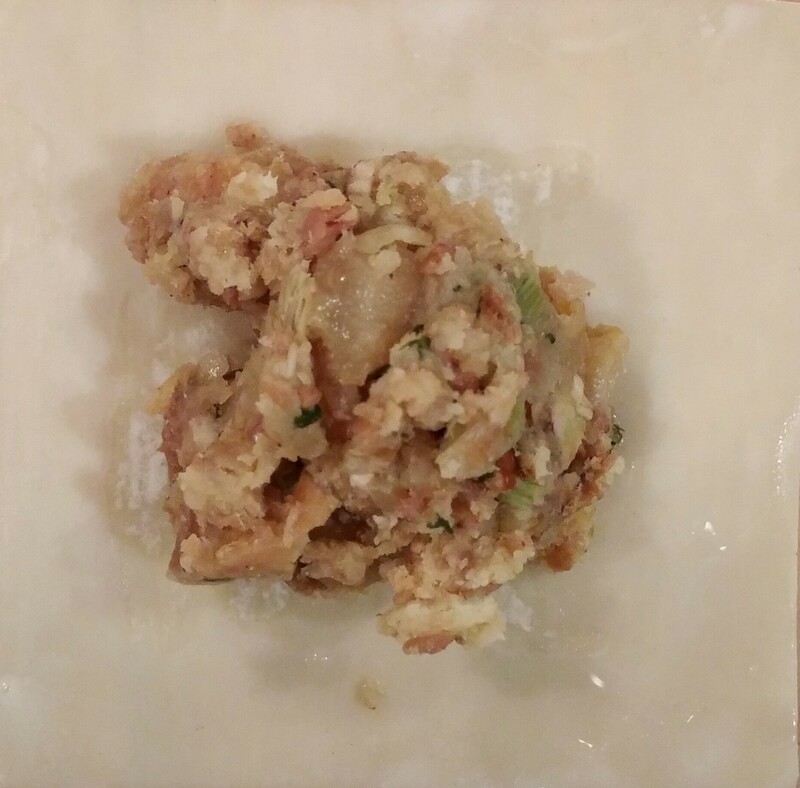 In fact, my grandmother’s oyster cornbread dressing was one to be fought over and it was one I tried to match (like me, she never wrote down any of her recipes) for years. I finally got it right one year to the joy of myself and my family. Tears filled our eyes with memories. I think that is what Thanksgiving traditions are all about memories-old and new. Oyster cornbread dressing is always on our table along with my shrimp and eggplant French bread dressing and another one or two. Yes, I try to make everyone happy in my family by making everyone’s favorite and a new one here and there. We always have leftover dressing! Let’s put an end to the debate and use the leftover “dressing” as “stuffing” to use as “filling” for ravioli!! Dressy Ravioli: This is an easy way to make an elegant dinner. You can use any kind of dressing you have leftover. Today I am using one of my mom’s favorites Chicken Sausage, apple, pecan, pear wheat bread stuffing (yes, she is the only one in my family that calls it “stuffing”-can’t explain that one!) 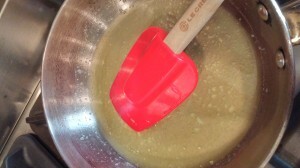 When making dressings, keep in mind all the possible combinations-the liquids or broths used, what type of grain, what type of protein (you can use any kind of link sausage, just put in food processor to make ground sausage), what type of vegetables, what type of fruits, what types of nuts. Get my idea? Get creative! 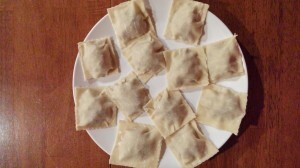 An easy and healthy alternative to pasta is using wonton wrappers for ravioli! You can find wonton wrappers in your grocery refrigerated produce section, usually near the vegetarian product section. It is important to work quickly with the wrappers for best results, so get all your needed supplies ready. For a clean work surface, I put wax paper down over my chopping board. 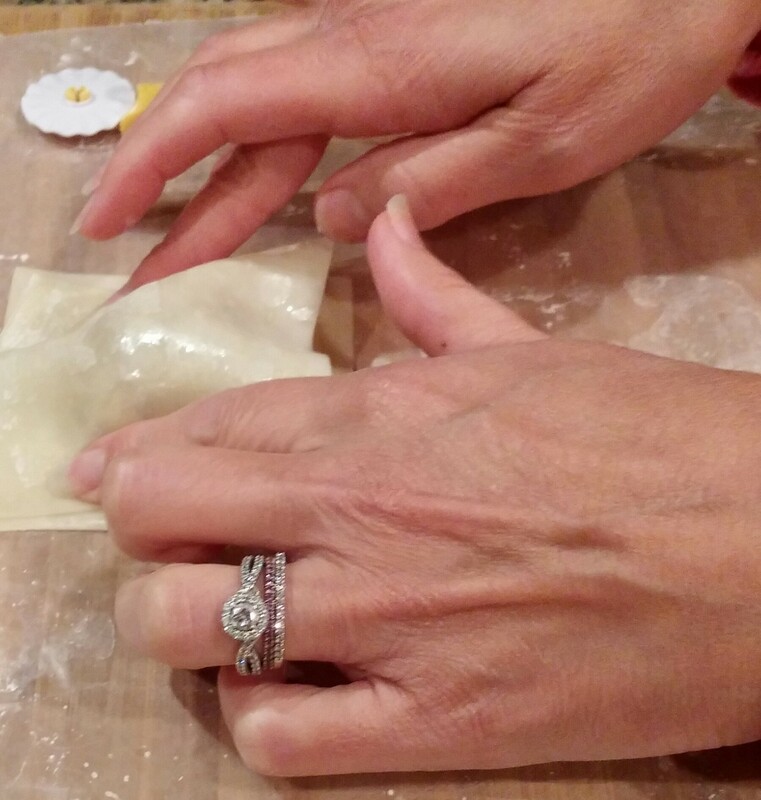 You will need a small dish of water or egg whites (this will be the “glue” that holds the ravioli together). I am using water, remember my hubby hates eggs, he wouldn’t eat them if he saw me putting egg whites on them!! 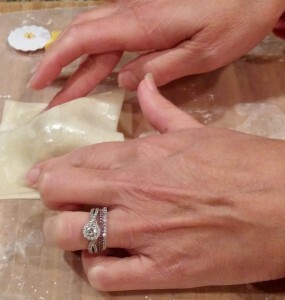 You can use a pastry brush or your fingers to apply the water or egg whites. 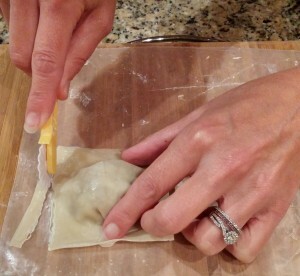 Separate and lay some of your wonton wrappers out. Work one by one. 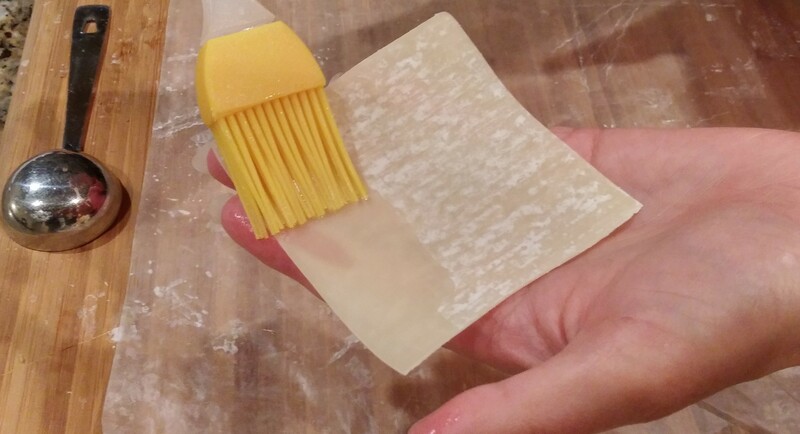 Keep your station clean and dry, you may need to switch out wax paper as you go, to keep your ravioli looking good. First, brush whole side of a wrapper with water or egg white. Place about 1 TBSP of COLD dressing in the center of that side. Next, pick up another wrapper and brush the outer edges of wrapper. Place moistened side over filling. Press around filling working way out to edges, working any air out. This creates a tight seal. 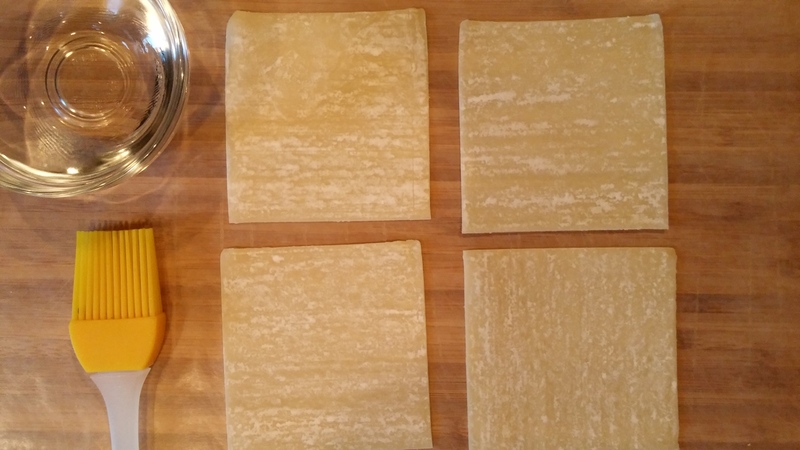 You can then leave the whole “ravioli” as is-a perfect square or you can cut the edges. I like to trim the edges using a pasty wheel. I like the “official” ravioli look it gives and it gives me some leftover “scraps” to use in a soup! Too boring for you? Get creative, cut into any shape you like-you can even use cookie cutters. Have a ravioli stamp-stamp away. Adjust the amount of filling as needed for the size making sure no filling interferes with the seal. 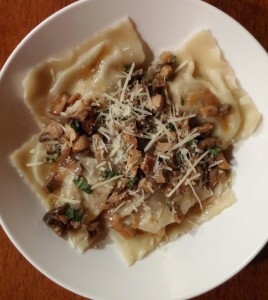 These ravioli can be made ahead of time. You can put in fridge in single layer covered with wet paper towel and wrap for 2 days-just keep paper towel moistened to keep them from drying out. (Same way you can make ahead and store finger sandwiches and have them last for a party!) You can also freeze the ravioli for three months, layered with wax paper individually in a Ziploc bag. It is important to keep the ravioli separate as they have a tendency to stick to each other. 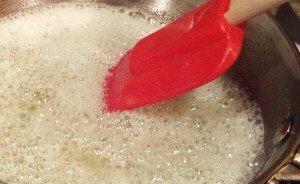 Next bring salted water (salt will help the water boil faster) to a boil and lower heat to simmer. 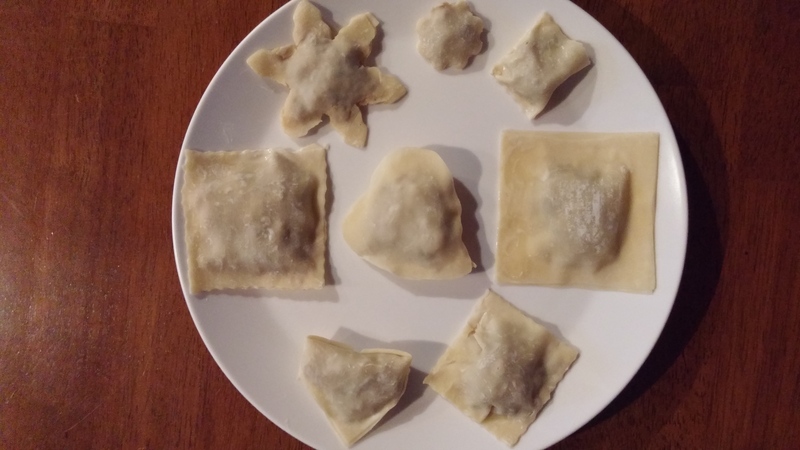 (While my water is boiling I like to check my ravioli to make sure all are sealed well) To prevent sticking, drop ravioli one by one and cook until they float to top-about 2-3 minutes. If cooking from frozen, increase time. Do not crowd the pot, make a few batches if needed. They are delicate, so be gentle removing them with a slotted spoon. Set aside. 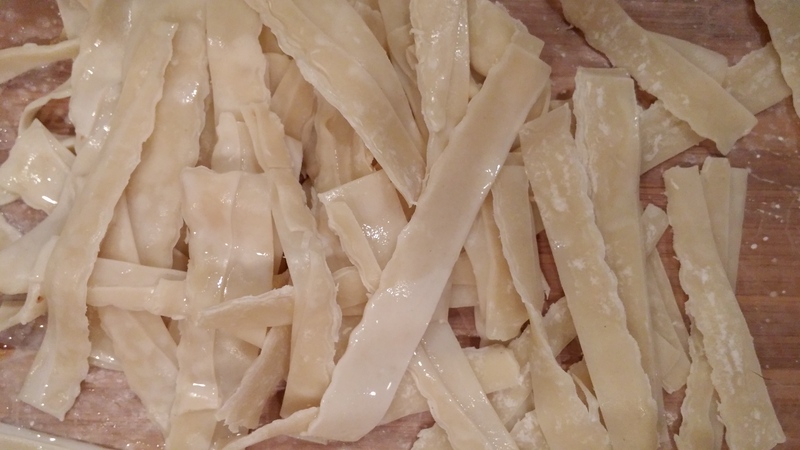 Now for the part that will make these ravioli sing-Brown Butter Sauce or as the French call it, Beurre Noisette, Hazelnut Butter for its delightful nutty aroma. 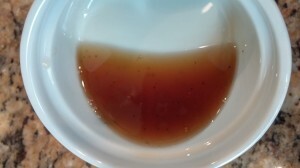 Brown Butter Sauce is a simple and simply delicious sauce. Once you discover Brown Butter it will be your quick go to sauce for many things, from vegetables to baked goods. Make a little extra and put in fridge for tomorrow’s morning toast or add some honey to it and use in your oatmeal! Making Brown Butter is much like making a roux, you have to stir or swirl it constantly, and watch it closely. It can go from golden to garbage in a second. Brown butter is created from letting the water evaporate and letting the milk solids brown. 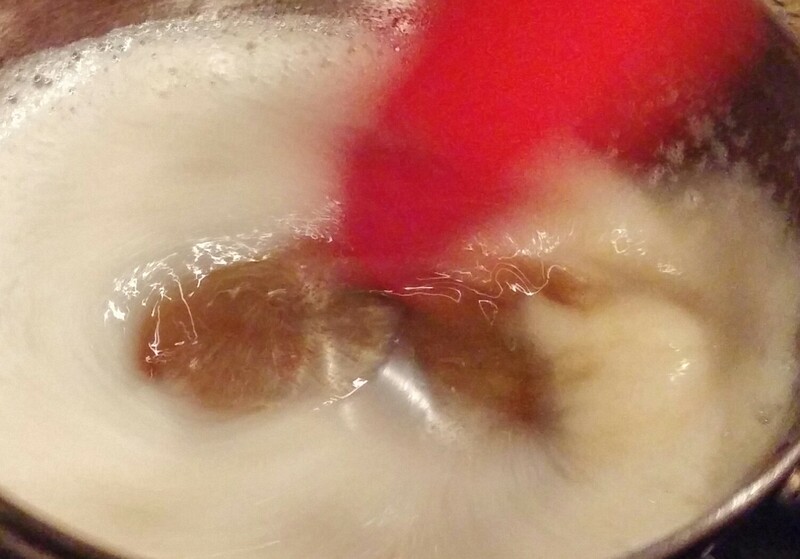 Foaming and bubbling is a sign to start watching the pan closely. The milk solids will separate and begin to brown. It happens quickly so pay attention. MY rule of thumb is when it turns AMBER get it out of the HOT pan! Want to make a Brown Butter Sage Sauce? 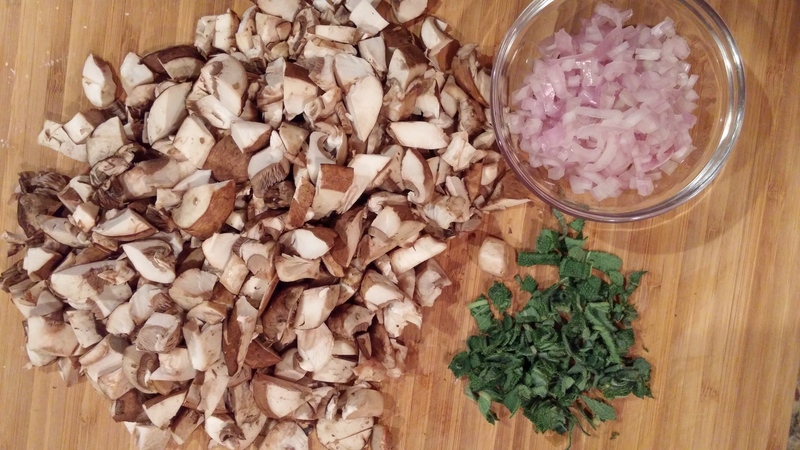 Great on chicken and pasta-add some fresh sage leaves when the butter melts. 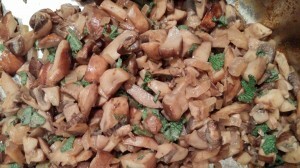 A Brown Butter Caper Sauce? Great with fish-add some capers to melted butter and finish with some fresh lemon juice-lemon juice will also help stop the browning. 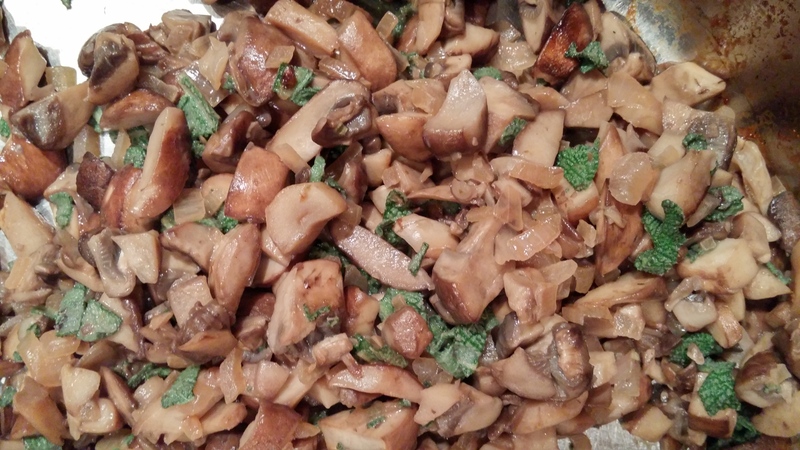 I like to make a mushroom, shallot, and sage Brown Butter. Fresh Sage is a wonderful herb. Wash and pat dry and strip leaves. (It also freezes well, up to a year, just pull leaves off, freeze separately, then put in bag together). To slice sage leaves, roll the leaves together, I used 4 leaves. 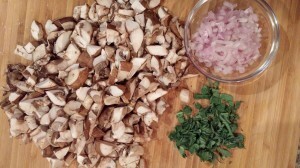 Chop 1 shallot and 8 oz. mushrooms. Drizzle some olive oil in a skillet over medium heat and add the trio. Sauté for five minutes. I like to have this mixture ready to go on the side so when my Brown Butter is done it goes into this pan and immediately over the ravioli. Top with freshly grated Parmesan cheese. Dinner is served. Put your TO COOK IS TO CREATE thinking cap on: What other kinds of ravioli would be good with Brown Butter Sauce? Butternut or Acorn squash is tasty. What other sauces would be good? For instance, for leftover oyster dressing, I top it with shrimp Alfredo sauce! For my shrimp and eggplant dressing, I use a tomato sauce. Think about what flavors you have in your dressing and pair them with a sauce. FOOD FUN: What dish are you known for in your family? What dish does your family love each year? Write down that recipe along with the history of the dish. For example, did your grandmother make it? Did you grow up having it? Did you taste it somewhere else? Did you see the recipe and get excited to make it? Write it all down and make copies. Send everyone home with a copy along with leftovers, of course. This will keep your tradition alive and ensure your spot on the Thanksgiving table long after your gone! Thanks! These are my favorite,too! That was only a picture of my first plate!! Gourmet meal in a flash! Hope you’ll try it!